After Ten Years of Easy Money, Investors May be in for a Shock! You can have “easy money” at a 10% interest rate if inflation is running at 15% (something like the conditions of the late 1970s). In that world, the real interest rate is negative 5.0%, (10% – 15% = -5%). In effect, the bank pays you to borrow. That’s easy money. By most models including the famous Taylor Rule, rates in the U.S. today should be about 2.5% instead of 1.0%. We have easy money today and have had since 2006. This comes on top of the “too low, for too long” policy of Alan Greenspan from 2002-04, which led directly to the housing bubble and collapse in 2007. The U.S. really has not had a hard money period since the mid-1990s. That’s true of most of the developed economies also. What’s going to happen when central banks start to normalize interest rates and balance sheets and return to a true tight money policy in preparation for the next recession? We’re about to find out. 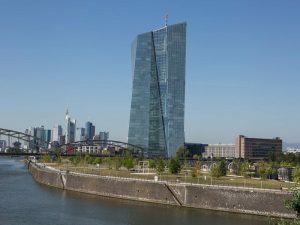 This article describes how central banks all over the world including the Fed, ECB, and the People’s Bank of China are in the early stages of ending their decade-long (or longer) easy money policies. This tightening trend has little to do with inflation (there isn’t any) and more to do with deflating asset bubbles and getting ready for a new downturn. But, in following this policy, central bankers may actually pop the bubbles and cause the downturn they are getting ready to cure. This is one more reason, in addition to those described in the articles above, why the stock market bubble is about to implode.